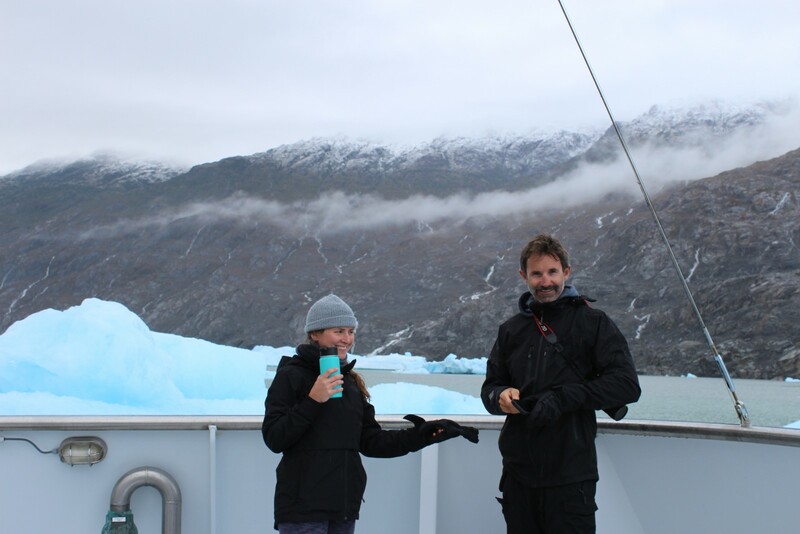 The nautical charts show the glacier is “just around the corner.” So Capt. 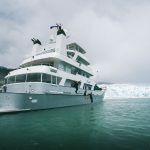 Jason Halvorsen steers the 141-foot steel hull slowly through “a ton of ice” in the southern waters of South America. The crew are on lookout. During trip preparations they researched glaciers, but this will be their first sighting. 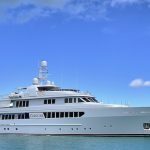 It has been two years of hard work and more than a month of motoring at 10 knots to get M/Y Marcato, a Hike Metal explorer yacht, to the bottom of the world. He motors cautiously. According to statistics, 90 percent of an iceberg is hidden below the surface. And this far south, there is no quick assistance if there is a problem. Few boats are in the area, no town is nearby, and there is no tow company. Plus, the chart is wrong. But at the helm, the captain’s face lights up. This is what this yacht is meant to do, and the crew have prepared the best they knew how. The boat pushes through. “I drove through ice because we could,” Capt. Halvorsen said with a laugh. Finally, the mile-wide glacier is in sight – seven miles from where it was charted. Several of the crew described the scenery as awe-inspiring and remote. The first time the crew heard the birth of an iceberg – giant chunks of ice breaking off a glacier, called calving – several thought it was thunder. During that incident, the captain did a hard reverse, expecting a small tsunami to race across the water toward them. No amount of reading prepared him for the experience. Fortunately, there was so much ice on the surface, it dampered the effect. After drifting with the ice for hours, several crew took a daring leap off the side of the yacht into the water. “We jumped in, popped up, I lost my breath,” Capt. Halvorsen said. Surprisingly, the air and the water temperatures were in the mid-50s Farenheit. As they would find on much of the trip, things are different here. 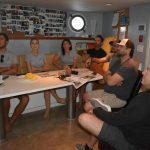 The crew has learned a lot since a year ago when they gathered around the mess table at the dock in Fort Lauderdale, with brandy Pisco sour samples and pebre salsa from Chile, to hear a presentation and ask questions of their yacht agent Carlos Miquel, regional director of South American Super Yacht Support (SASYS). They were enthusiastic, and The Triton was there to follow their planning – and realization – of the trip. 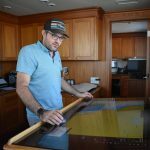 Are the nautical charts good enough? What if we have an injury? 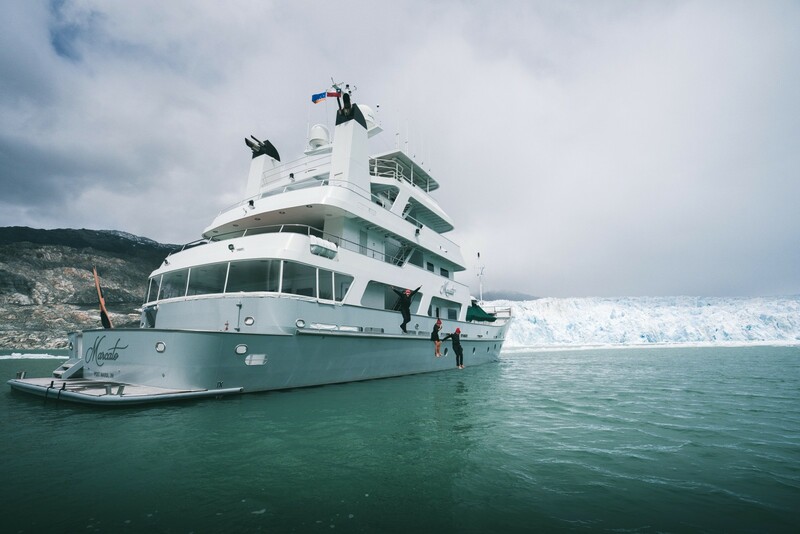 Will the yacht’s liquids freeze? And forefront on the chef’s mind – what ingredients do we need for these drinks and salsa? The magnitude of modifications, rethinking and planning hit Capt. Jason Halvorsen hard. 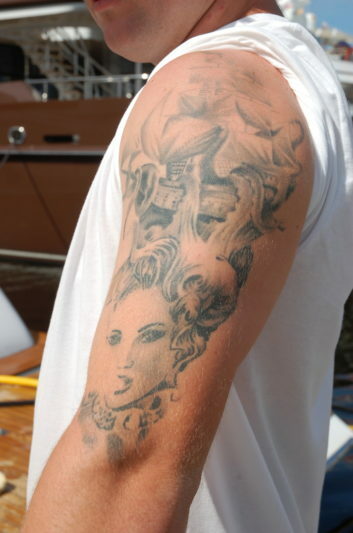 “I wish this story had already been written,” he said, referring to The Triton’s coverage. The group continued with questions. “Are there air strips? If a guest was sick, where do they fly? I’m also thinking of getting the crew in and out,” the captain asked the agent. Miquel would help with air access for emergency supplies, provisioning, and flights out for crew downtime. And for one section of the passage, he recommended guests fly in to avoid the rough seas. 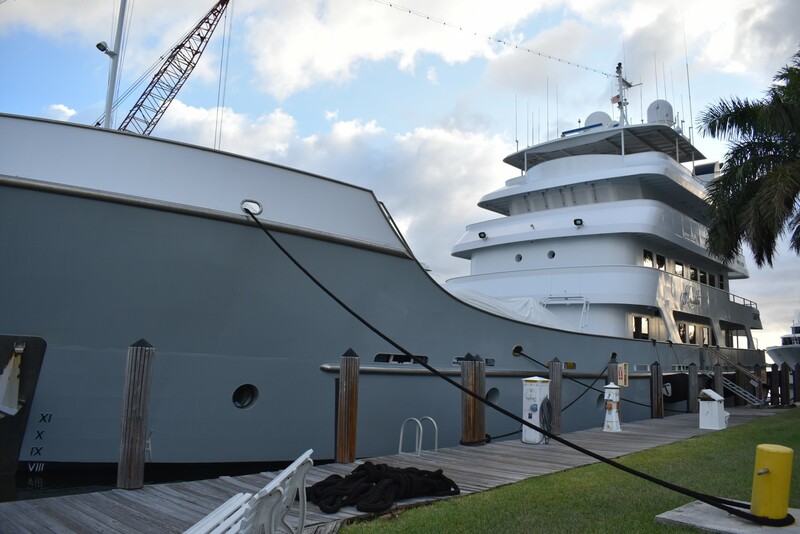 With temperatures in the 80s in Fort Lauderdale, the stews had to work hard to envision icebergs as they plotted to buy clothing for both crew and guests. The first mate thought about the fact that many of his water activities would not work as well in the cold waters. Another person suggested the yacht bring extra boat shirts to give as gifts. The chef said he planned to find local markets. “I’m resourceful … half the fun is provisioning on your own,” he said. 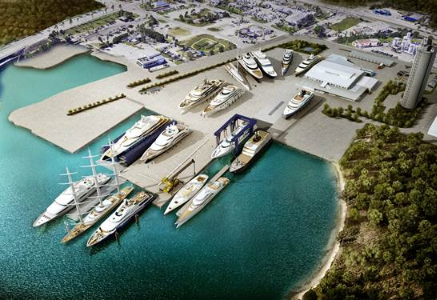 Some yachts ship in provisions from other countries, but there are limitations, the agent said. 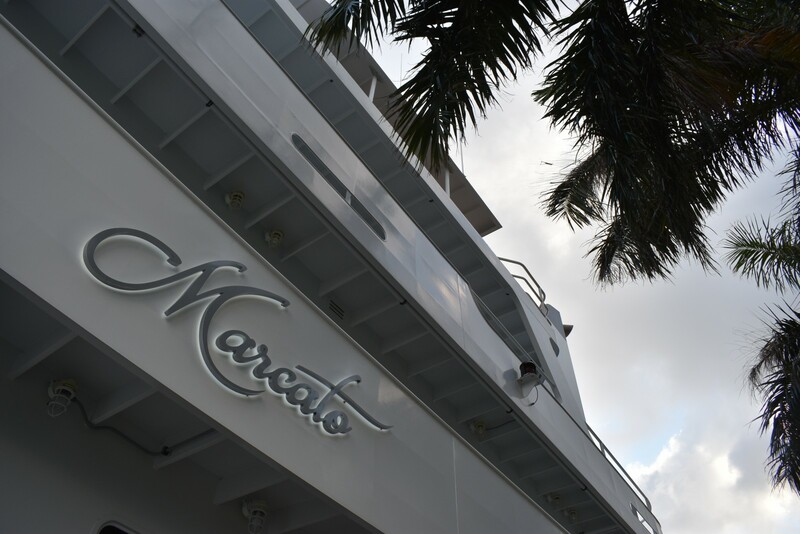 A big part of the Marcato’s plan was to get charters. In late October, final preparations became more urgent. 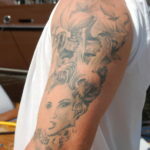 Onboard crew and marine workers were in every corner of the yacht painting, stowing, organizing and testing. “We leave in 10 days,” Capt. Halvorsen said as he checked on crew at work finishing an isinglass enclosure on the aft deck. 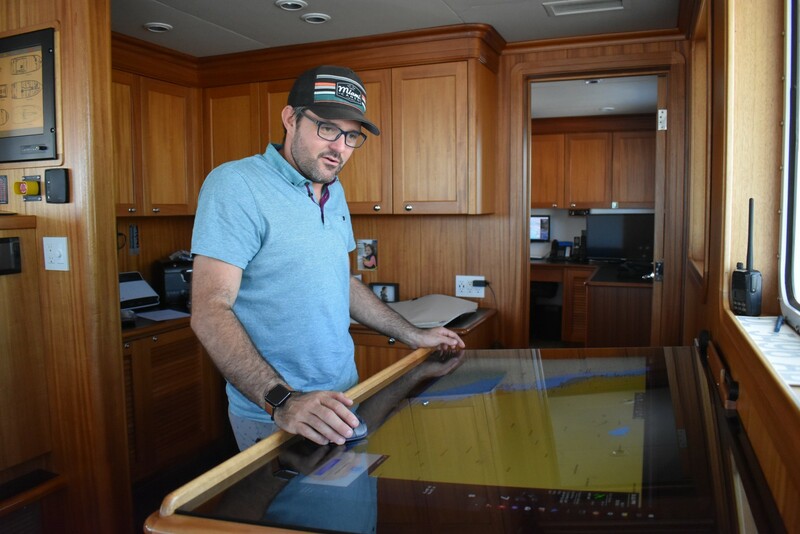 On the bridge, he pointed to one of the crew innovations: a large, glassed-topped cabinet with a television screen embedded inside to view electronic charts. “As a captain, I need to have all the charts I need to plan. I’m proud of this. It’s a Sony TV with glass on top. Reilly and I built it,” he said referring to Deckhand Reilly Strand. 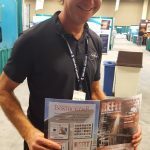 They installed a garbage freezer to deal with waste disposal challenges. And a technician was under the helm station to check the radio equipment. The captain asked him to check why the satellite did not get a signal when the handset was in the cradle under the helm station. The radio survey was complete and the Iridium satellite was tested, but he was concerned about communication, especially in the fjords. The chef was interested in the medical course and was in class for the Advanced Medical training. That prompted a new oxygen generator to fill bottles on board. The captain had read about a medical emergency in the Bahamas when enough oxygen bottle could not be found, even on nearby boats. He realized that Marcato’s four bottles would only last a couple of hours – not enough time for the remoteness of the Southern Hemisphere. 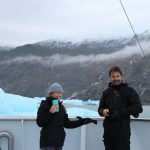 “If the tender and guests go out to where there is a potential for injury, they can take the extra bottles on the boat. Guests may be rock climbing or something that is quite different from being in Saint Tropez,” he said. And crew became guinea pigs for the cause. Concerns were as small as how to handle tipping in South America and as large as learning the charter laws in different areas. 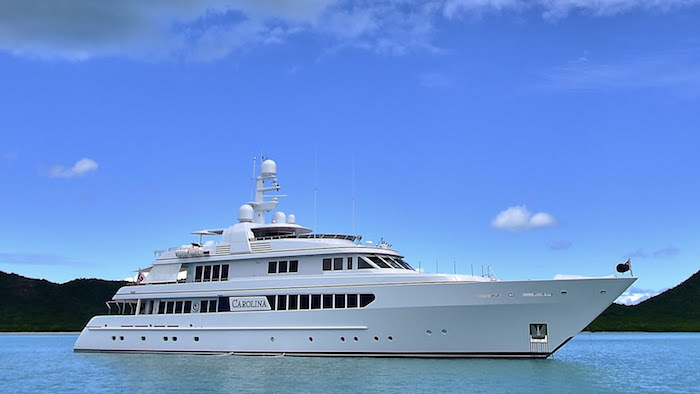 In March, The Triton checked back in with the yacht crew via an internet call. Excitement was still high, but there were disappointments. Several crew had left and new ones arrived. Looking back to the planning stage, the crew found they had prepared well. But now, they rely on their ability to adapt. 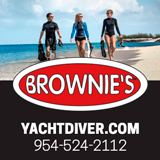 Exploring is fun, but finding safe haven for anchoring is vital, Capt. Halvorsen said by phone in late January. Once through the Panama Canal, there is only Oxxean Marina in Puerto Montt that can hold Marcato in this part of the Pacific coast. 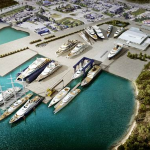 It is a commercial marina with work boats coming and going all day and night. It’s definitely not a yacht marina, but it is a good dock, according to Capt. Halvorsen. 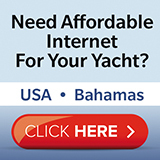 Anywhere else the yacht travels, it needs shallow water to anchor for rest and safety. But much of the coastal waters are 500 to 600 feet deep. 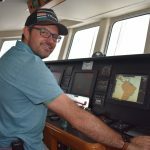 “From Pacific Panama Canal to the southern tip of South America, everything is anchorage,” Capt. Halvorsen said. “Even though we hug the coast, it’s pretty remote. 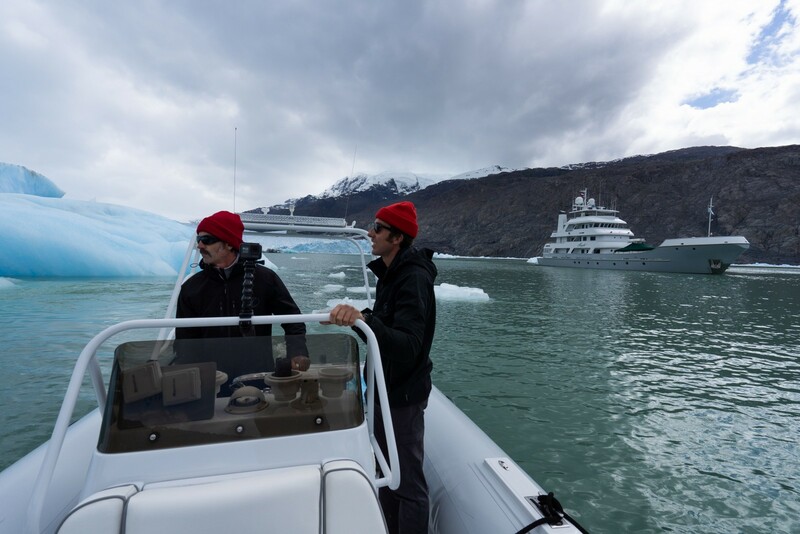 There are more safe anchorages than I thought, but no inlets like what we’re used to until you get to Patagonia. There is no pulling in, like in Fort Lauderdale, Miami or Palm Beach. The crew improvised a system: “We go slow, nose around, and use the tender ahead,” the captain said. Then they anchor off the beach. Fuel and provisioning options were expected challenges. 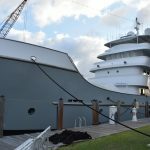 Even though the yacht holds about 20,000 gallons and has an 8,000nm range, they learned they would bunker in commercial shipping docks. “We can’t stay long, they want the ships in,” the captain said. About halfway down the continent, the winds became a challenge in the lower latitudes. “Almost every day, it’s been 40- to 50-knot gusts south of 48S. 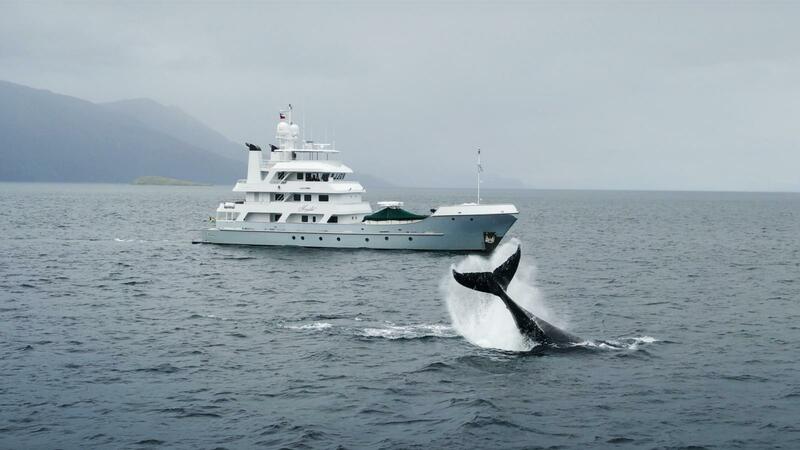 Inside the fjord, it was 50 knots, then 60 knots with the wind out of the north,” he said. The crew soon learned of williwaws, sudden winds that blast down mountainsides. Capt. Halvorsen said he never thought that a mountain 500 meters next to a mountain 1,000 meters tall could cause the wind to come straight down. He figured the yacht would be calm in the lee of the mountains. The wind gauge of another yacht in the area, M/Y Dorothea III, recorded 75-knot gusts in the middle of the night, Capt. Halvorsen said. Marcato’s wind gauge maxes at 50, and “we have maxed quite a few times,” he said. 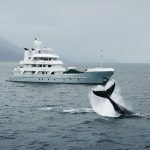 The yacht set a schedule to report in to the Chilean navy as required at 9 a.m. and 9 p.m. 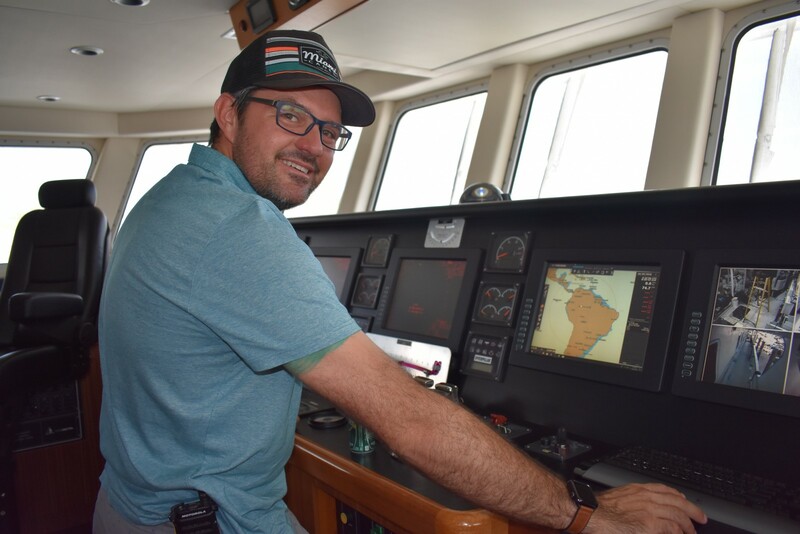 Compared with warm climate trips, Deckhand Strand spends more time on excursions and less time prepping the yacht’s exterior areas for lounging. 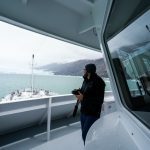 In Patagonia, he said they usually just use the main areas and get the tenders ready to cruise. A couple of old Nikons and a large format camera were Strand’s favorite preparation for the trip. 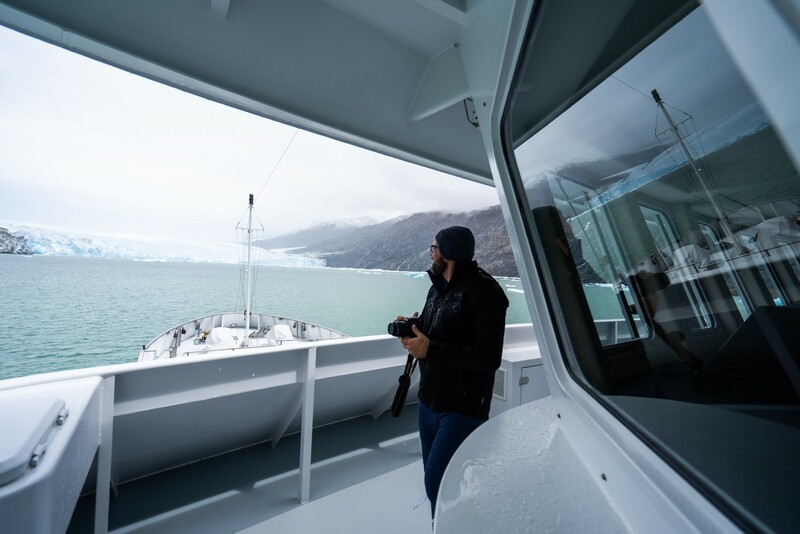 “The icebergs are quite interesting; they make great photos on film cameras, I don’t know why,” he said. Adding to his joy are the film processing facilities he has found in Chile. As for charters, that was one of the crew’s biggest disappointments. 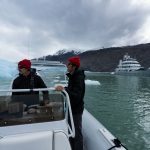 They worked hard during the Fort Lauderdale International Boat Show – the captain’s enthusiasm was hard to contain – and SASYS created itineraries for northern, central and southern Patagonia, complete with photos and history enticements on the yacht’s website. But as of March, there have been no takers on a charter. Nevertheless, the crew are still hopeful. M/Y Marcato’s crew has learned to work with what they can control, but the remoteness and isolation can still be a challenge. No amount of preparation can prevent a bit of loneliness. 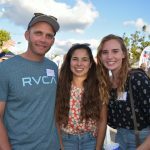 “It’s super tough,” said Stew Michan, who stays connected with family in the Bahamas and Israel whenever possible. Strand uses WhatsApp to stay in touch with friends. Capt. 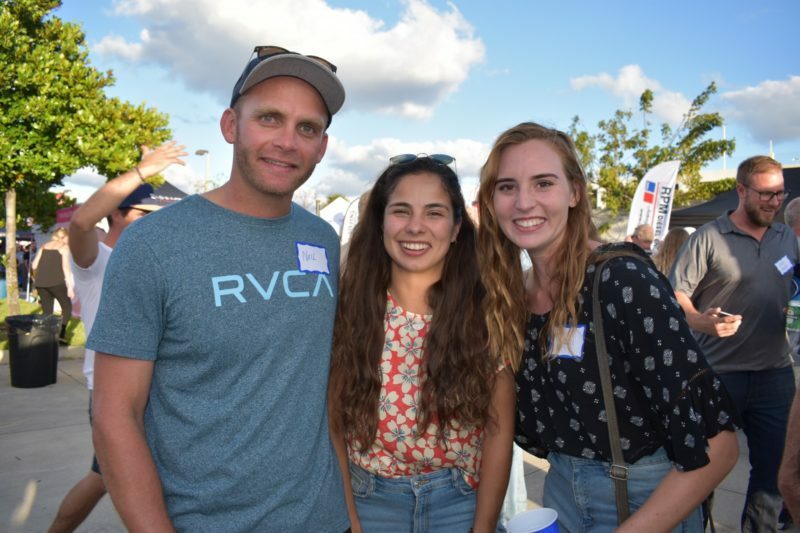 Halvorsen, on the other hand, made immediate plans to fly his wife and daughter down from Florida for a visit. He was excited to share the adventure with his marine biologist wife, and his 4-year-old saw snow for the first time on a volcano. But after the visit, the goodbyes were tough, he said. The captain’s most important preparation for the long journey south? Dorie Cox is editor of The Triton. 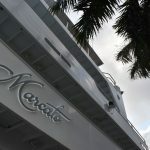 Comment at dorie@the-triton.com.To follow the yacht and crew adventures visit www.mymarcato.com.